DECATUR, Ga. -- The family of Kendrick Johnson says they’re positive they’ll get justice for their son. Johnson was found dead in a rolled up gym mat in Valdosta more than 3 years ago. 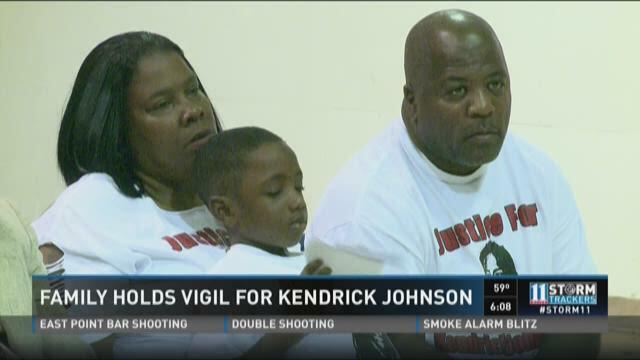 On Saturday, the family came to Decatur to remember Johnson’s life. Ryan Kruger was at the Straight Life Church of God where the family gathered in the afternoon. Johnson’s parents along with about 50 community members held a rally there and released balloons in honor of the young man’s life. They said the length of the federal investigation into their son’s death makes them hopeful. They were holding the rally not only for their son but, they said, for other victims who deserve justice. Kendrick Johnson’s death was originally ruled an accident, but a private autopsy funded by the family found the cause of death to be blunt force trauma. Since then, a federal investigation has been opened. While it has taken some time, a family spokesman said they’re positive they’ll get justice in the end. “I think we will start the wheels to clean up a corrupt system in Valdosta, Ga. Will that save lives? Absolutely,” family spokesperson Marcus Coleman said. The family has filed a $100 million lawsuit against the Lowndes County superintendent, the Valdosta Police Chief and others.